We could expect that Mazda engineers remain cautious by proposing a new version of the Mazda3. It’s not the case! The new 2014 Mazda 3 offer a real modernization and propose a lot of new technologies. In the spirit of ‘’Soul of Motion’’ or KODO, Mazda has three different models available: the GX ($15 995), GS ($19 695) and the GT ($25 855). Each version is equipped with complete SKYACTIV technology. For the brand new 2014 Mazda 3, a choice of different engines is proposed to the customer. The 2.0L engine has a fuel consumption rating of 6.8 L/100 km in the city and 4.8 L/100km highway, when paired with a manual 6-speed transmission. All customers can chose the 2.5L engine with a fuel consumption of 7.2 L/100km city and 5.1 L/100km on the road along with the automatic transmission. The basic version of the Mazda 3 has nothing to do with the basic version of the competition. You can find a Bluetooth system, a starting button, a keyless entry and much more! In the GS version, there’s also a 7-inch touch screen where the driver can control all different systems, a reverse camera, a HD radio, a system that can receive and send text messages, two USB ports and 6 speakers. There’s more! Some options allow you to have heated mirrors, heated front seats, and electric sunroof and fog lamps. Regarding the more high-end version, the GT, you can find all standard equipment and even options that you can find on the GS version. In addition to this equipment, you can enjoy a high-intensity discharge headlamp (HID), an intelligent key system, a voice-activated navigation, BOSE audio system with 9-speakers, an automatic dual-zone climate system and a new head-up display system which providing information on a transparent panel on the dashboard! The 2014 Mazda 3 is also equipped with different security elements including airbags, whiplash-reducing front headrests, antilock brakes, dynamic stability and a stability control. 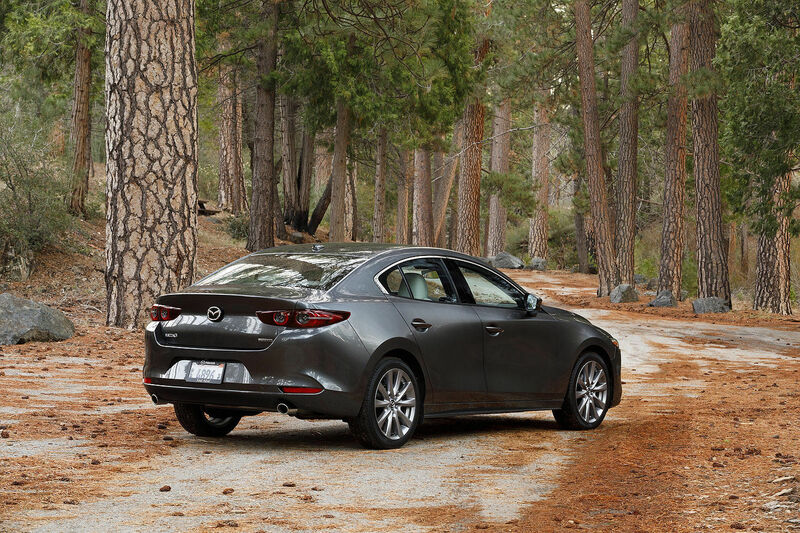 Find all those options and much more on the 2014 Mazda 3. 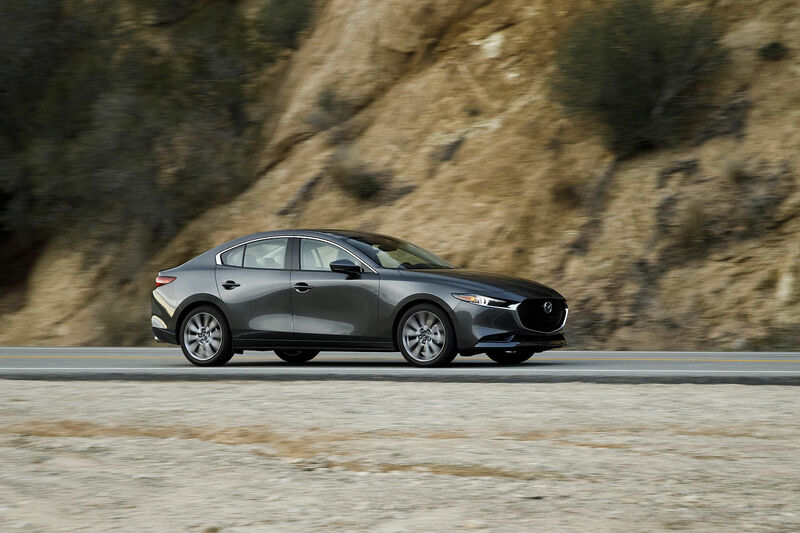 The new 2014 Mazda 3 is even more fun to drive, offers a more modern and aggressive design. Get some information about the brand new 2014 Mazda 3 at your Kentville Mazda dealership and be among the first to try it! Book your test drive today and request a quote now! 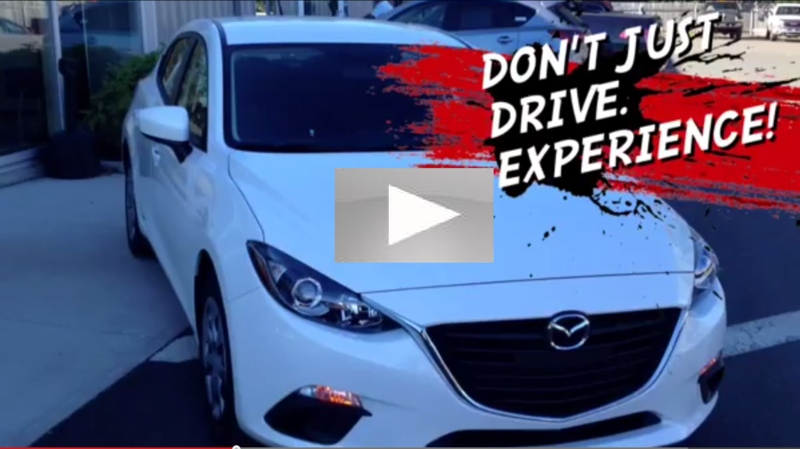 iMovie and Kentville Mazda Films invite you to watch their video below.